Founder and Creative Director Alexandra De Montfort only allows the absolute best of ingredients for any product. She stresses the somewhat whimsical beside the utmost in science to create items which will enhance any woman's beauty, as we are all just a sleepy princess, even if it's only in our mind. The philosophy that skin should radiate beauty from the outset is the starting point for every piece in the collection, whether complexion product or colour. Is free of phthalates and parabens and is suitable for vegans. It sprays on strong at first. Real strong. However, after a few minutes, the overwhelm goes away and what you're left with is a pleasant aroma. Sillage falls from a 5 to a 2. Longevity is at 4. At the end of the day, there is a slight essence of vanilla. Goes on well and lasts all day. My lashes look great. No clumps, even towards the end of the night. Love it! This is excellent too. The color is natural, albeit a little light for my skin. However, it goes on smooth, like a deodorant without the roughness and lasts. It's a pretty hue and doesn't look fake. 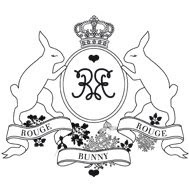 You may purchase your Rouge Bunny Rouge items online, from the web site listed below. They're high profile. They're also worth it.